Winter is the season of snow, ice, and hazardous walkways. Stairs, sidewalks, and driveways are slippery and there is a higher risk of tripping and slipping. Accidents like these have the potential to lead to serious injuries. If you believe that the negligence of the property owner caused your slip and fall accident you should be compensated for your injuries. Slip and fall accidents are exactly like they sound- when you fall and injur yourself due to a trip or a slip. These accidents can occur at home, at work and on the premises of any public building. These accidents happen very frequently, and are even more common in the winter months due to icy surfaces and snow. Slip and fall cases are liability claims where the person who tripped and injured him or herself is filing against the person who owns the property that the fall occurred at. Who is at fault in winter slip and fall accidents? Property owners have a duty to maintain their property to a certain standard. This means that the premises must remain free of hazards to limit injury. If there is an issue that cannot be resolved right away, property owners are obligated to worn visitors. When it comes to slip and falls from snow and ice, the circumstances are integral to the case. What was the situation that caused the fall? Was the accumulation of the snow/ ice natural? Or was it from unnatural causes like a pothole in the driveway? This is a completely different situation than falling on a sidewalk or publicly-owned property. There are various regulations concerning snow removal and upkeep that can vary from state to state. Many of these are to help prevent slip and fall accidents. Duty- a foreseeable guest is a victim such as a tenant or a wanted visitor. Breach- there was a reasonable issue to cause a slip and fall such as a broken staircase or ice from a runny water hose. Causation- the injury was caused by the breach. Damages- there were injuries that affected the victim. 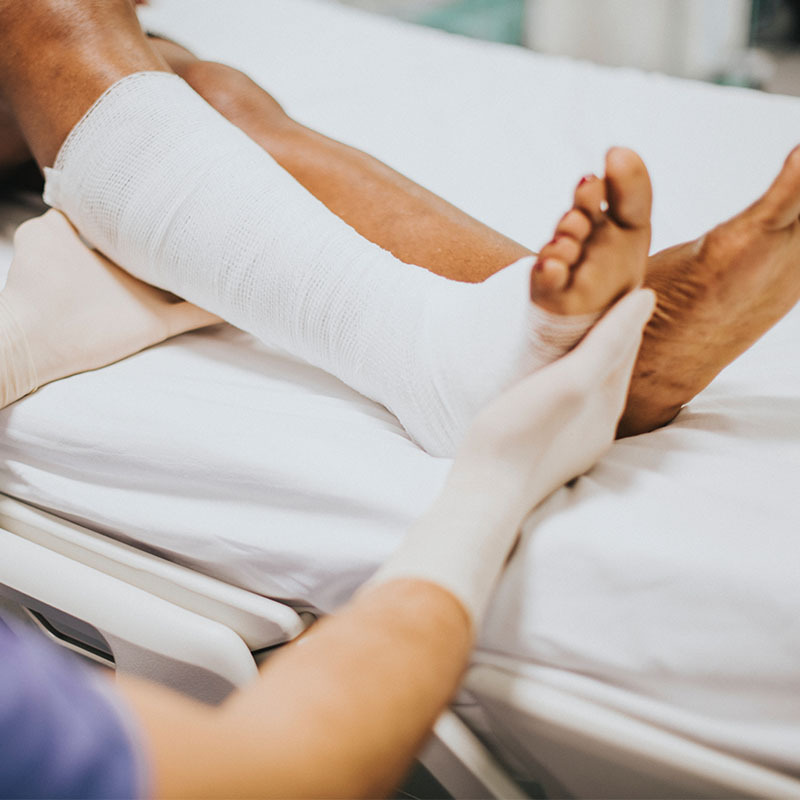 In any case, if you have been involved in a slip and fall accident you should look into getting compensated for your injuries. Call Rob Levine & Associates today for a free consultation with a slip and fall lawyer.